N. Yasuda, H. Murayama, Y. Fukuyama, J. Kim, S. Kimura, K. Toriumi, Y. Tanaka, Y. Moritomo, Y. Kuroiwa, K. Kato, H. Tanaka and M. Takata, "X-ray diffractometry for the structure determination of a submicrometre single powder grain", J. Synchrotron Rad. 16, 352-357 (2009). Y. Imai, S. Kimura, O. Sakata and A. Sakai, "High-Angular-Resolution Microbeam X-ray Diffraction with CCD Detector", AIP Conf. Proc. 1221, 30-33 (2010). S. Kimura and Y. Imai, “Parabolic refractive X-ray lenses made of quartz glass for high-energy X-ray focusing”, Jpn. J. Appl. Phys. 55, 038001 (2016). Y. Fukuyama, N. Yasuda, J. E. Kim, H. Murayama, T. Ohshima, Y. Tanaka, S. Kimura, H. Kamioka, Y. Moritomo, K. Toriumi, H. Tanaka, K. Kato, T. Ishikawa and M. Takata, "Ultra-high-precision time control system over any long time delay for laser pump and synchrotron x-ray probe experiment", Rev. Sci. Inst. 79, 045107 (2008). Y. Fukuyama, N. Yasuda, J. Kim, H. Murayama, Y. Tanaka, S. Kimura, K. Kato, S. Kohara, Y. Moritomo, T. Matsunaga, R. Kojima, N. Yamada, H. Tanaka, T. Ohshima and M. Takata, "Time-Resolved Investigation of Nanosecond Crystal Growth in Rapid-Phase-Change Materials: Correlation with the Recording Speed of Digital Versatile Disc Media", Appl. Phys. Express 1, 045001 (2008). N. Yasuda, Y. Fukuyama, S. Kimura*, K. Ito, Y. Tanaka, H. Osawa, T. Matsunaga, R. Kojima, K. Hisada, A. Tsuchino, M. Birukawa, N. Yamada, K. Sekiguchi, K. Fujiie, O. Kawakubo, and M. Takata, “System of laser pump and synchrotron radiation probe microdiffraction to investigate optical recording process”, Rev. Sci. Inst. 84, 063902 (2013). 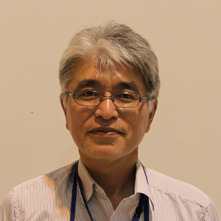 H. Osawa, T. Kudo, and S. Kimura, “Development of high repetition rate X-ray chopper system for time-resolved measurements with synchrotron radiation”, Jpn. J. Appl. Phys. 56, 048001 (2017). H. Osawa, T. Ohkochi, M. Fujisawa, S. Kimura, and T. Kinoshita, “Development of optical choppers for time-resolved measurements in soft-X-ray synchrotron radiation beamlines”, J. Synchrotron Rad. 24, 560-565 (2017).